March 10 is National Women and Girls HIV and AIDS Awareness Day. Each year on this day, we focus our attention on the impact of the HIV epidemic on women and girls throughout the U.S.. Though we have seen sharp declines in HIV diagnoses among cisgender women in recent years, the Centers for Disease Control and Prevention reports that more than 7,000 cisgender women were still diagnosed with HIV in 2015. Black cisgender women are disproportionately affected, comprising 60 percent of the total number of women living with HIV by the end of 2014. Additionally, PrEP use continues to remain low among cisgender women, comprising 7 percent of PrEP users despite accounting for 19 percent of new HIV diagnoses in the U.S., according to new data released by NAM. Transgender women also continue to experience alarming HIV rates, comprising 84 percent of HIV diagnoses among transgender individuals from 2009 to 2014. "On this National Women and Girls HIV and AIDS Awareness Day, we recognize the significant progress that has been made in reducing new infections among cisgender women throughout the United States," says Ashland Johnson, HRC's Director of Public Education and Research. "We must continue to ensure that all women throughout the country have access to HIV testing, PrEP and life-saving medication and treatment. An AIDS-free generation is within our reach. “ ‘Stay the course, the fight is not over’ ." 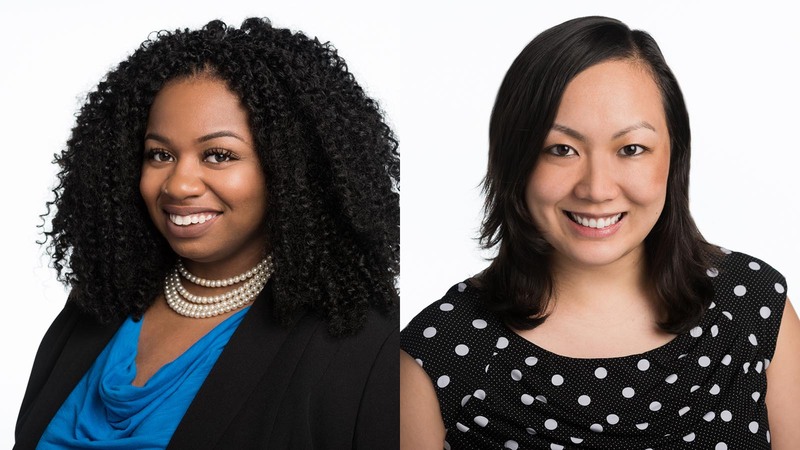 Today, we highlight two HRC HIV 360° Fellows -- Ashley Young, Project Director at The Passion Project in Little Rock, Arkansas, and Erika Usui, Director of Program Evaluation and Contracts at the Ali Forney Center in New York City. Their work and leadership are having a positive impact in their local communities and on the lives of individuals living with and affected by HIV and AIDS. Tell us about your organization and your role within it. I am the onsite Project Director for The Passion Project, a government-funded initiative to enhance and expand substance use disorder treatment, and other behavioral health services, to vulnerable African-American women in Arkansas. Among other issues, we focus on drug and alcohol abuse, HIV and hepatitis, fitness and nutrition, as well as trauma-informed care. As Project Director, I coordinate all of the grant-funded activities, including client services, professional development trainings and our strategic planning meetings. In other words, I help keep the program on track to meet our required goals and objectives. How did you benefit from HRC’s HIV 360° Fellowship Program? I applied for the HRC HIV 360° Fellowship Program because I am very interested in non-profit management and enhancing the skills and abilities of the staff I supervise. As the director of a federally-funded grant project, I want to be the best leader I can be for my team. That means seeking out the information and skills I need to take both my program and my staff to the next level. Because HRC is committed to serving many of the same populations I am, I knew this program would be the right fit for me. Where other programs may have taught me how to write a stellar grant application, HIV 360° has taught how me to actually sustain that funding. Their guidance has been invaluable, as has been the knowledge I’ve gained from the other fellows in the group and our fearless facilitators. Tell us about your organization or initiative and your role within it. I work at The Ali Forney Center, and our mission is to protect LGBTQ youth from the harms of homelessness and to empower them with the tools needed to live independently. In my role as Director of Program Evaluation and Contracts, I ensure that performance metrics and objectives are met. I also work closely with the youth to measure impact, so that we are able to identify strengths and improvement areas of our agency. The goals of HRC’s HIV 360° Fellowship Program align with my own and that of my peers, so I put all of our collective ideas into the application as a vision for change. The recognition that it is possible to end this epidemic, and that the people around me are an invaluable part of that effort, have been an amazing source of renewed energy and motivation. The program also helped me develop the The Peer Health Training Project, a leadership development program that aims to build LGBTQ youth as influential educators and activists who are able to address the broad range of factors that impact their health. I hope this program encourages youth to truly believe in themselves and each other as important change agents, and in their own strength and resilience. Learn more about HRC’s work to end HIV and HIV-related stigma by clicking here.